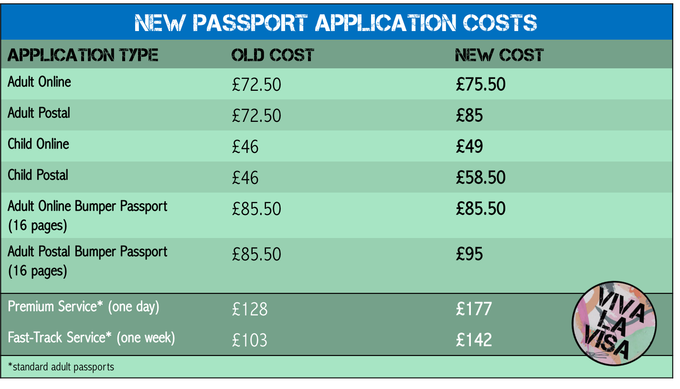 Amongst the news on what colour passports are going to be post-Brexit, or even where they passports are going to be manufactured, you may have missed the memo that passport application prices are in fact going up. The Home Office is increasing the cost of applying by post rather than online, as postal applications cost more to process. The price changes begin on 27 March and apply to renewals and new passports (which includes if you've lost your old passport or need to change your name). Online applications will cost £75.50 for adults and £49 for children. Postal applications will be £85 for adults and £58.50 for children. "Our priority is to ensure that UK travellers have a secure, effective and efficient service from the point of application to the time they pass through the UK border and it is only right that we should look at this whole process when setting our fees...these proposals will ensure that those people who don't travel abroad are not footing the bill for those who do." As always, Viva La Visa is here to ensure that your passport application process is as smooth as possible, so don't hesitate to give us a call if you have any questions. If you travel from country to country often, you might want to consider acquiring a second passport. This is also something that we can help you with.